“This is clearly an important enhancement and should lead to further reductions in crime,” Edward F. Davis said shortly before he resigned. The addition of GPS, which still needs City Council approval of the arbitration award package that resulted from the negotiations, is the most dramatic change from the new contract facing officers as the department begins a new level of scrutiny. Another change: Cameras equipped in district booking stations would record officers and preserve film of their bookings of suspects. The GPS devices have stirred the most anxiety. An officer in trouble is also likely to get help faster if commanders know exactly where he or she is. “If an officer calls for help, we’ll know the cars that are closest to them,” Davis said. But some officers said they worry that under such a system they will have to explain their every move and possibly compromise their ability to court street sources. Davis acknowledged that one of the advantages to installing the system will be the ability to keep track of officers and make sure they are not leaving their district or patrol area without permission or driving recklessly. Another officer said he is less worried about scrutiny than he is about how vulnerable it could make the department to tech-savvy criminals. Cheryl Fiandaca, spokeswoman for the Boston Police Department, said officials expect the system to be secure from hackers. The department must give officers 45 days notice before the GPS devices are installed, according to the arbitration award. The City Council must decide whether to fund the package, which calls for 13.5 percent in raises and additional money for longevity benefits, bonuses for officers with college degrees, and other perks. The total package amounts to a 25.4 percent increase in pay over six years. Police and union officials negotiated changes to the department’s camera surveillance policy. District stations are already equipped with cameras that are monitored in real time by a supervisor. The change would allow the department to record and preserve those images. 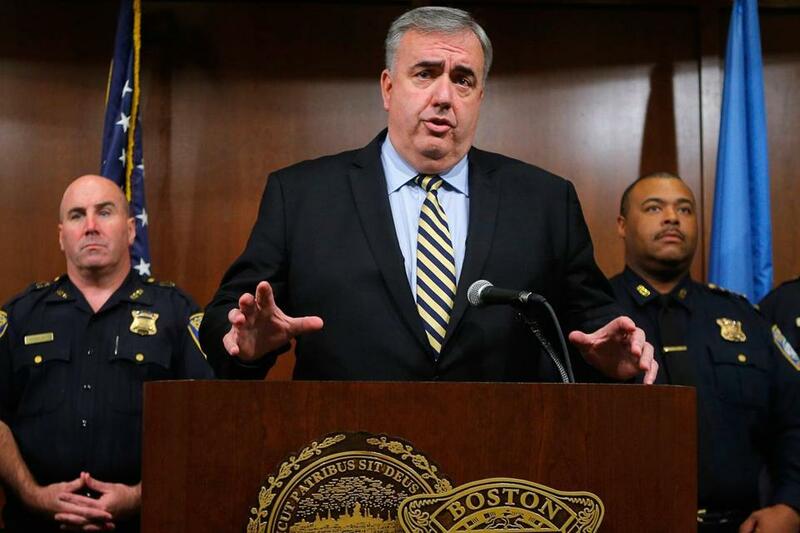 “The city obviously wanted more accurate records of what happens when people are booked and put in the cells,” Sandulli said. The cameras could help the department fight allegations that suspects were abused while they were booked or in police custody, he said. Police said they can preserve the images indefinitely.